British forces have captured six important villages on either side of the Caen-Villers-Bocage highroad. Reporting this last night, Bill Downs, C.B.S. 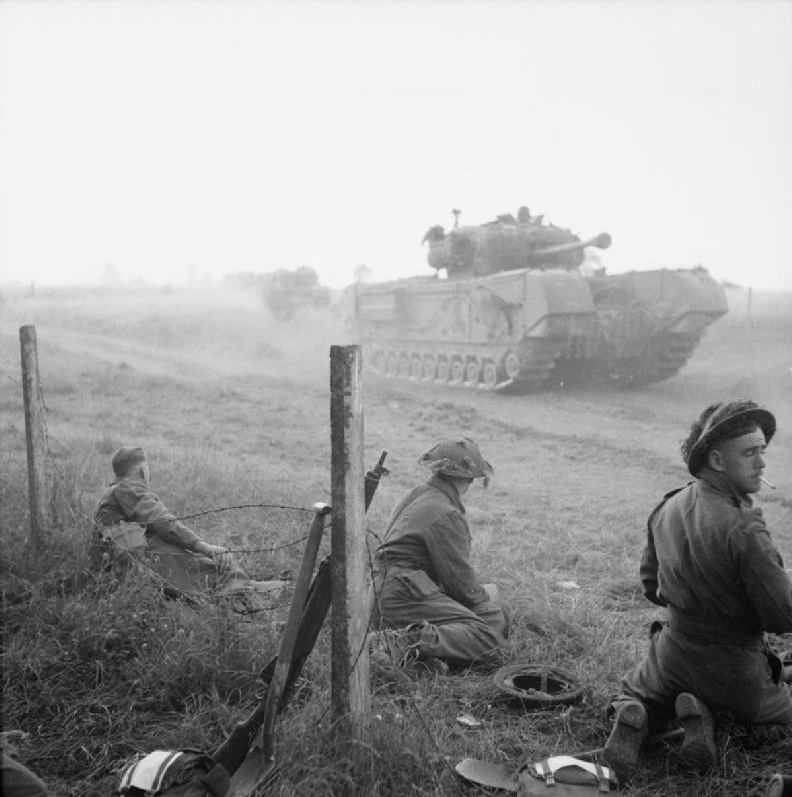 broadcaster, stated that the British 2nd Army is again on the move, broadening and deepening its wedge southwest of Caen by more than a mile on a six-mile front. This drive, striking south and west, should not be termed a full-scale offensive, says Downs, but British forces threaten the entire enemy flank south of Villers. 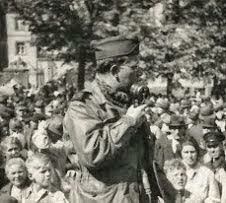 Later in the day the Germans awoke to the danger and counterattacked several times. North of the Odon the British captured Brettevillette. The troops north of the Odon and those south of the river are now only 1½ miles apart. After a day of dusty and bitter fighting between the Odon and Orne all British gains have been consolidated and our positions improved despite counter-thrusts in which the enemy suffered casualties in infantry and armour, says Doon Campbell. Over 100 prisoners were taken before 1 p.m. British gains include Esquay, Gavrus, Bougy, Hill 113 and Cahier. The Germans still hold Évrecy and Vendes, where some of the heaviest fighting has taken place. All reports speak of "heavy German casualties." Minor counter-attacks by Rommel against the British at Hill 113 were broken up. Nervous jabs cost the Germans at least ten tanks. The attacks came from Évrecy and were aimed at Hill 113 and the general direction of Esquay. Tiger and Panther tanks supported the German infantry. The Germans did not succeed in making any infiltration or gain one yard of ground. The British General commanding the opposition is satisfied with the progress made. British infantry, flanked by tanks, were consolidating their gains and digging in on the sunny slopes of Hill 113 overlooking Évrecy late this (Sunday) afternoon. The advance from the north continued towards Noyers, about two-thirds of the way from Caen to Villers-Bocage on the main road linking the two towns. Shortly before noon, an attack, supported by armour, was thrown into Vendes, which was by-passed on the drive south. The roar of massed artillery supporting the infantry has continued all day. Many Germans have been killed and many more wounded. Our own casualties are described as "well on the right side." The battle for the River Ay raged along a front of nearly seven miles to-day in the area of Lessay, while to the east American troops fought stubbornly for the approaches to St. Lô (reports William Stringer, Reuters special correspondent, writing last night from 1st U.S. Army H.Q.). With Lessay flanked on three sides patrols twice drove against the Ay last night under heavy fire, but withdrew slightly when, in the words of a spokesman, "It got too hot for them." Lessay itself is doomed. American troops reached its outskirts more than 24 hours ago and patrols were reported moving forward this morning.